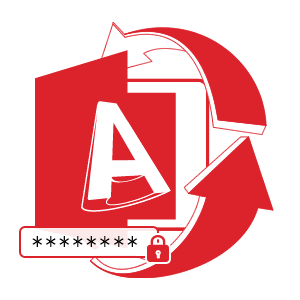 AutoCAD DVB password cracker utility is one of the most effective approach to remove and reset passwords in AutoCAD files. This tool will help end users a lot who have forgotten password of their DVB projects file due to one or the other reason. This AutoCAD DVB Macro password breaker allows users to reset unrecoverable/forgotten VBA passwords from *.dvb files. This tool generates an unsecured AutoCAD DVB file from secured .dvb file. After recovering previous password from the DVB file, the software automatically generates a new password. The text will be displayed in center of the software panel with attribute name ‘New password is’. While performing the password removal process, there are no restrictions imposed on number of characters used in the process. 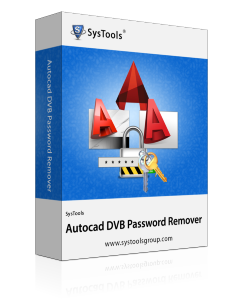 AutoCAD DVB password remover has a property by which it can crack password of any length. The software supports all versions of AutoCAD, which includes AutoCAD 2015, 2014, 2013, 2012, 2010, and all other macro versions. Apart from this, it is a Windows-based utility, which can easily be accessible on Windows 8 and its below versions. The passwords written in different combinations are supported by the software. The combination can include any type of character in any language, special symbols etc. The program will extract password of any type and reset it on its own. Understanding the customers need is our prime motto. We provide our users the free version of the software. A user can easily understand the basic working of the product. The trial version will help you to operate the utility and you can easily reset your new AutoCAD password, but it will show you two characters only. Once you are contended with the working of our software in trial version, you can easily switch to our paid software. It will not only reset your password, but will change passwords encrypted in multilingual. Moreover, our product is available in three different licenses to support your investment funds. After successfully changing password with help your utility, is it possible to learn previous password of the source file? No, the tool will not provide you breaked AutoCAD DVB password, which you used earlier but, yes it will provide you a new password, which you can change afterwards as per your choice. Is your software compatible with all Windows Editions? Yes, our AutoCAD DVB file password remover tool is compatible with all versions of Windows let it be Win 8.1, Win 8.0, Win 7, Vista, XP, and earlier ones. Does your software recover password from corrupt/damaged files? No, the utility does not reset password of DVB files, which are corrupted or damaged. My team had been working for an organization on a very important project and the deadline was nearby. Unfortunately, we lost password of our AutoCAD DVB project. One of my teammate recommended me use this application. A heartily thanks to this software, it just saved us by an inch! I worked in an architectural company as an AutoCAD architectural draftsman. I misplaced password of my file accidentally, which had an access to one of my projects. I could have ended up my professional career, if AutoCAD DVB password recovery tool was not there for help. Thank you developers! Naming the tool as a world class one will make a difference. I have worked on various tools but this utility made me feel like a special one. This software not only helped me in password recovery with but with its astonishing feature I was able to get my detailed password report. Thank you AutoCAD DVB Macro password cracker software. Innovative, Intelligent, and Important these words strike my mind when ever I think about the tool. This solution is so easy to operate that it has transformed the technology. Without even a single doubt, I can say this utility is the best in the market. While using the tool, one gets crazy that how can a simple software serve beyond our expectations. I would surely recommend everyone the tool to break DVB code password. Amongst all applications, I found this utility and I was probably right with my decision. This software made it so simple and easy for me to bypass DVB password of any length. I must say it is a perfect solution to keep all required DVB file safe and secure. Thank you so much to the development teams for creating an amazing utility. Hats off, keep up the good work !! I am very impressed with this AutoCAD DVB password remover software. Because It has many outstanding features like excellent performance, easy-to-use interface and it will not take much time to unlock all essential .dvb files. Seriously, I am satisfied with this trouble-free and efficient application. Appreciate to the developer team!